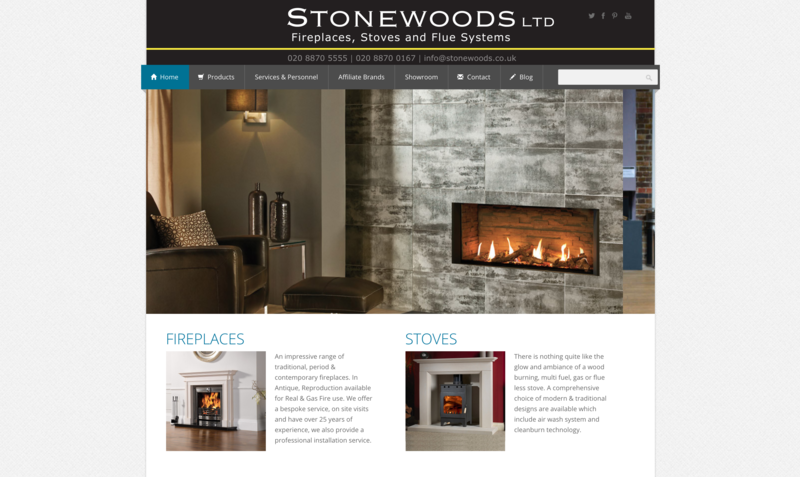 Stonewoods Ltd are the oldest clients of ours. 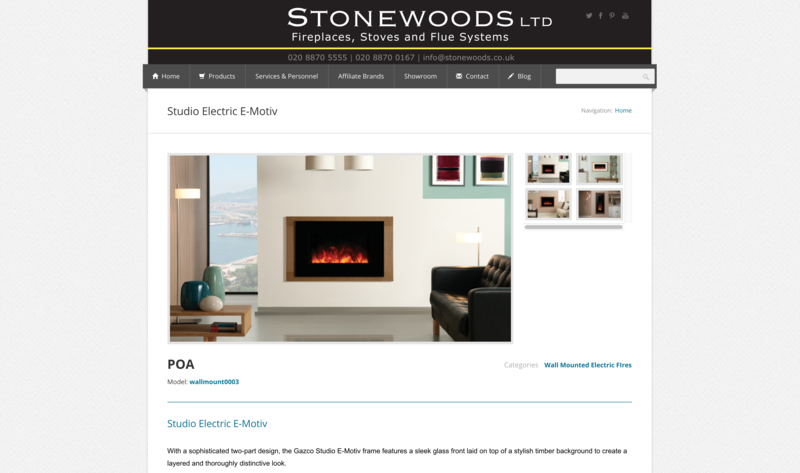 We have created the first version of www.stonewoods.co.uk website back in 2008. The first version was build in Zend Framework, back then popular PHP framework. 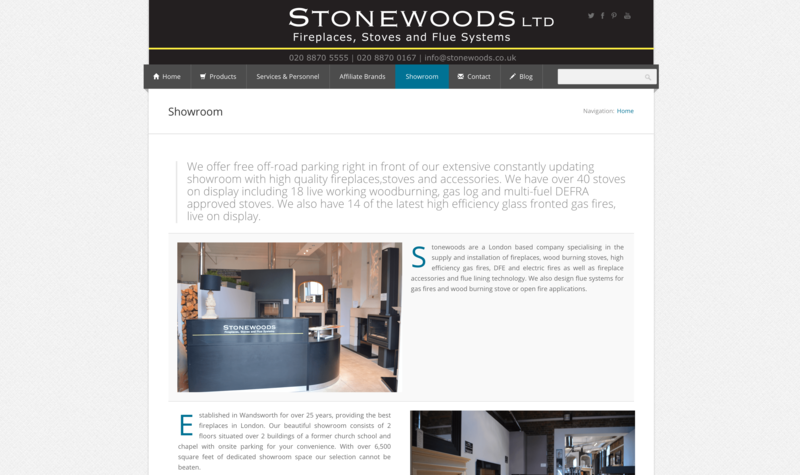 As the Stonewoods' need for content management capability grew over the years, we had built a new version of www.stonewoods.co.uk, this time in Drupal CMS, an open source content management system. Here is the list of services we have provided to Stonewoods during this project. 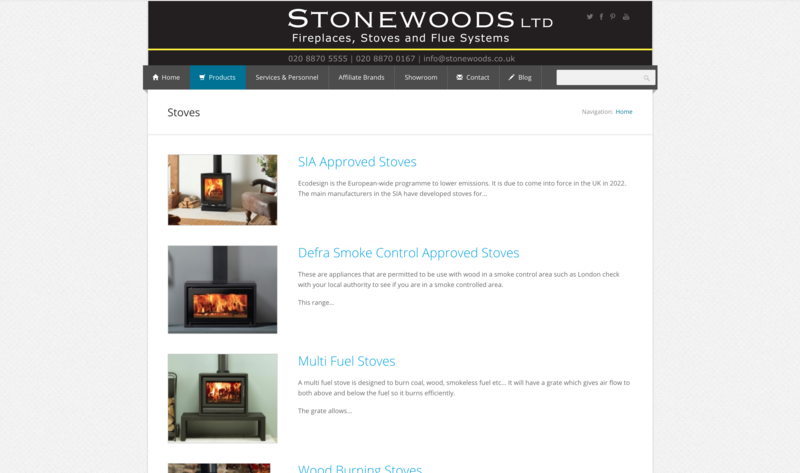 Stonewoods Ltd are now able to manage their own content on their website themselves. 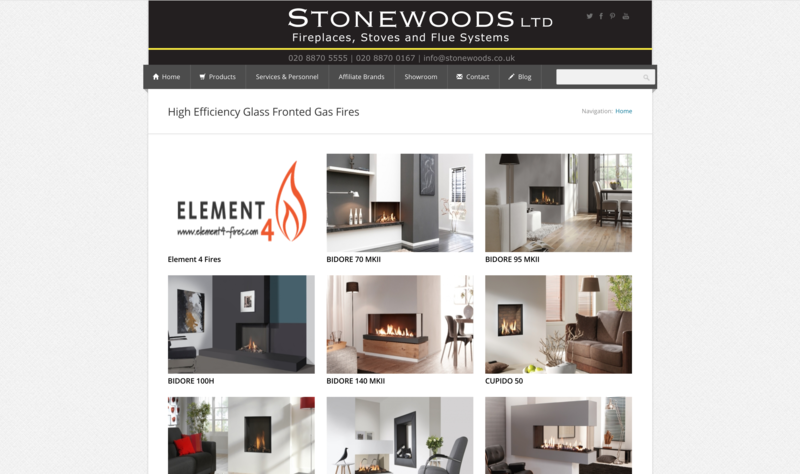 Creating and editing theirs fireplaces, stoves and accessories is now easy and intuitive, and no special technical knowledge is required by their employees who have special 'content editor' permissions that allows them to do just that.